Silver and gold, together in perfect harmony. This choker is at once so classic yet so modern. Timelessness and minimalism to wear around your neck. 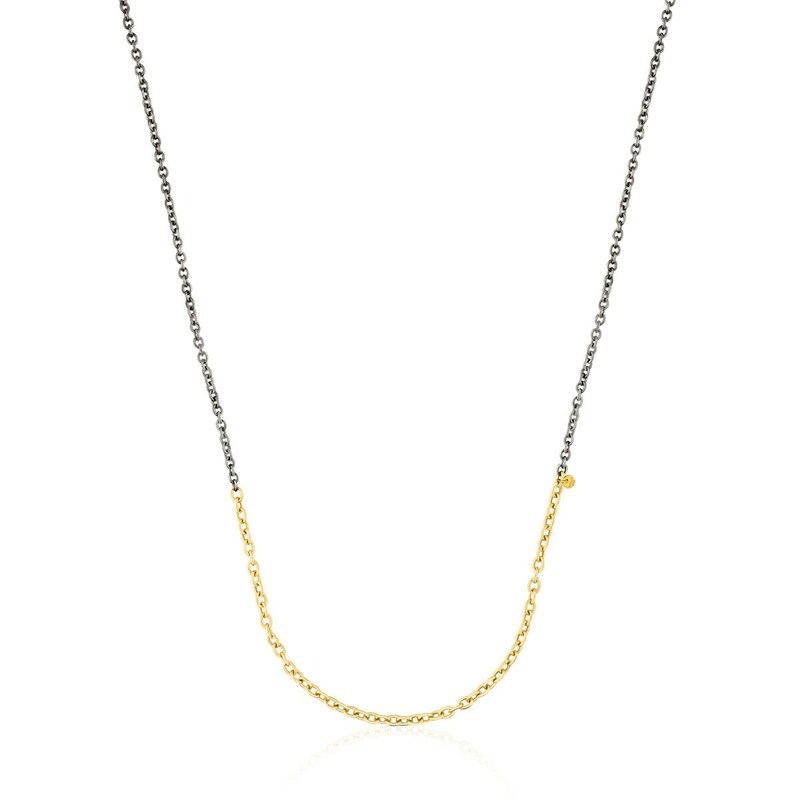 TOUS Gem Power choker in 18kt yellow gold and oxidized sterling silver. Length: 50 cm.